Forms several erect, branched stems; 1 to 3 ft. high. Moist wooded areas. Sun to shade. Native to San Francisco and greater Bay Area. 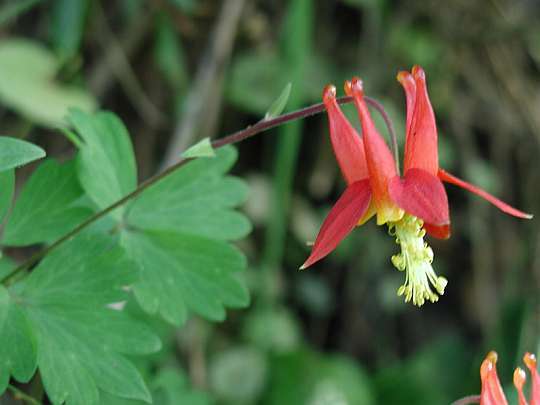 Classic Western Columbine, truly a gorgeous plant for early summer hummingbird fodder. Snails also love it, alas. Extract of the root was used by Natives to enhance energy and stamina.